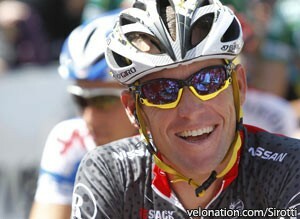 Armstrong has refused to defend himself in the case while maintaining his innocence, although following news that Nike, Giro, RadioShack, Anheuser-Busch, Giro and several other companies have dropped their sponsorship after digesting USADA's case, it's safe to say his last legal maneuver has been taken as an admission of guilt by those that once adamantly supported him. The American company solidified it's position in the high-end road bike market in a deal with three-time Tour de France winner Greg LeMond to produce his line of bikes, but the two parties found themselves at odds following the champion cyclist's statements about Armstrong in July of 2001. LeMond said then, "When Lance won the prologue to the 1999 Tour I was close to tears, but when I heard he was working with Michele Ferrari I was devastated. In the light of Lance's relationship with Ferrari, I just don't want to comment on this year's Tour. This is not sour grapes. I'm disappointed in Lance, that's all it is." Michele Ferrari, who has since been banned from the sport of cycling by USADA, is clearly shown to have been working with Armstrong within their more than 1000 pages of evidence based on the actions taken by his long-time sponsors. The documents include traceable payments to the doctor totaling more than one million dollars and clear collaboration all the way through the time of his comeback to the sport. LeMond expressed incredible frustration with the situation, claiming that Trek tried to silence him, and that Armstrong pressured Trek into pushing aside the LeMond brand of high-end road bikes and focus on the Madone, a bike that was named by and a collaboration with the Texan. LeMond ended up suing Trek over the situation where he saw his bikes under marketed, with the company filing a suit of their own shortly thereafter. The issue was settled by the two parties in 2010, with LeMond retaining the full rights to the LeMond Bicycle name. Wisconsin Congressman Jim Sensenbrenner lashed out at USADA in July and questioned the investigation of Armstrong, saying the anti-doping agency's jurisdiction over the cyclist was “strained at best.” The action was widely speculated in the media to be done in relation to Trek, who is headquartered in the state. He authored a letter to the Office of National Drug Control Policy, who provide USADA a federal grant worth $9 million annually, stating “Congress has no role in determining whether an individual athlete doped, but we do have a great interest in how taxpayer money is spent." There has been no reaction from the Wisconsin lawmaker in light of the latest developments.